Where Is Bayonne, France Located? The waterside city of Bayonne (Baiona in Basque) is located at the northernmost point of the French Basque Country where the rivers Adour and Nive meet. Biarritz, a renowned French beach resort town, is only eight kilometres away and the Spanish city of San Sebastián is just a 50-minute drive away. The most picturesque area of the city is next to the River Nive, which looks a lot like Amsterdam albeit a Basque styled Amsterdam. Even though it is classed as a city, it feels more like a large town. It was lovely strolling alongside the River Nive which separates Grand Bayonne and Petit Bayonne, the two central neighbourhoods of the city of Bayonne. Both sides of the river are lined with bars, cafes and restaurants. What Is Bayonne Famous For? Bayonne is known for its Bayonne ham, and chocolate which have been produced in there since the Middle Ages. Grand Bayonne is the historic heart and commercial centre. We arrived as the shops were closing but it was enjoyable just roaming the old cobbled streets. It’s an incredibly picturesque city with its charming Basque houses, half-timbered buildings and colourful shutters. The Sainte Marie Cathedral (Bayonne Cathedral) dominates the city’s skyline. Construction of this gothic cathedral began in the early 13th century. The cloister next to the cathedral dates back to 1240 and is one of the largest in all of France. 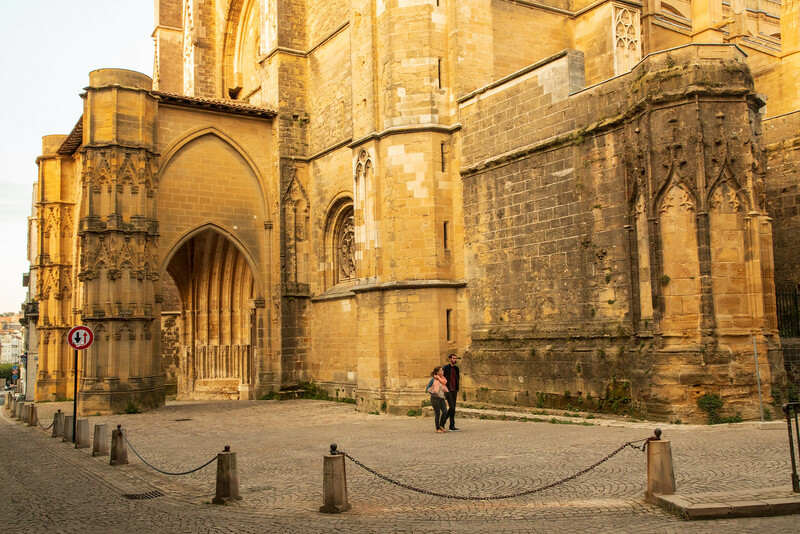 Another charming neighbourhood where you can wander the streets and admire the stunning architecture is Petit Bayonne. There’s a Basque Museum (Musée basque et de l’histoire de Bayonne) located in a 16th-century palace – the ‘Maison Dagourette’ that according to reviews is worth seeing, but unfortunately, it’s closed on Mondays and guess what day we were there! 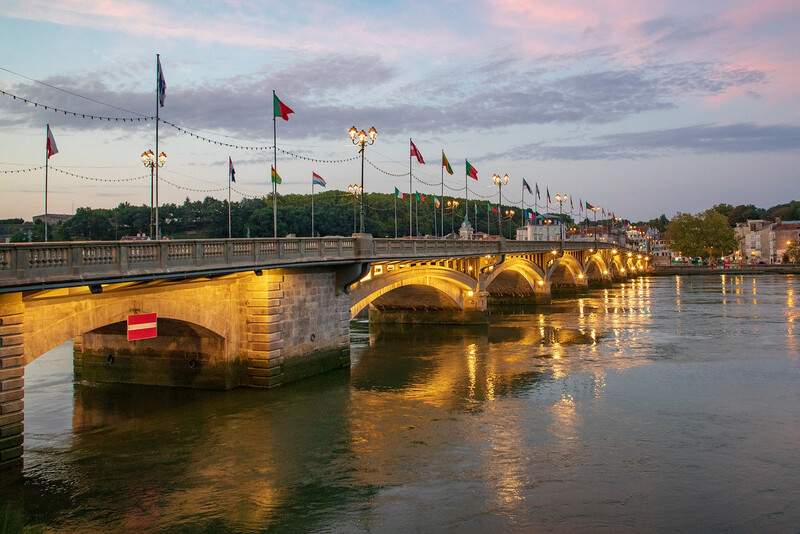 Coming from the neighbourhood of Petit Bayonne, you can head across the bridge to Saint-Esprit. This is where you will find the train station, the citadel and some interesting ethnic restaurants. We had the best Asian meal there since leaving our home in Laos. It was delicious. Totally off topic, whenever I go to my Portuguese lessons (we are currently based in Portugal), I often reply in Lao. We lived in Laos for two years. Here was my chance after an 18 months absence from Laos to speak Lao to the Laotian staff but oh no, that day for some reason I could only speak Portuguese! Which isn’t much use when talking to a Lao guy in French Basque Country! But I digress, this neighbourhood looks and feels a bit different from the rest of the city. In fact, it was initially part of Gascony. Back in the 17th century, Saint-Esprit was settled by Jews escaping the Spanish Inquisition. 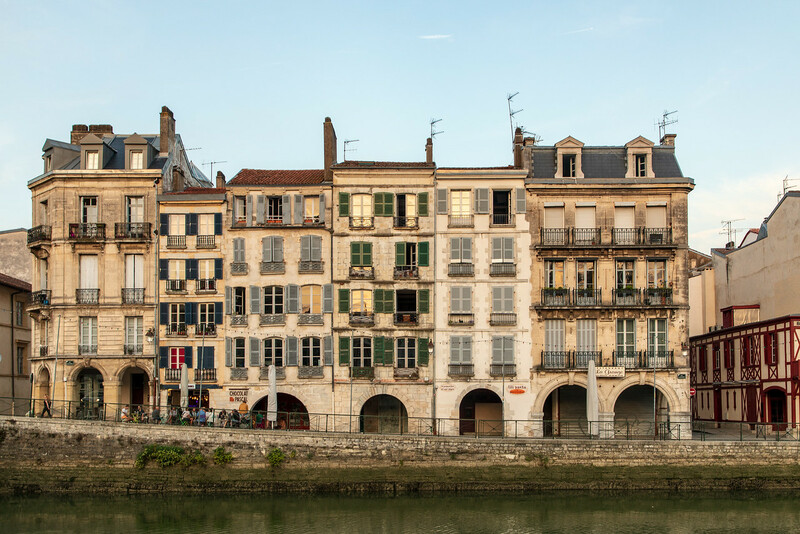 One of France’s biggest festivals, the Fetes de Bayonne takes place during the summer months, attracting more than one million visitors. It’s the French version of Pamplona’s Running of the Bulls. Bayonne has a long tradition with bullfighting. Most bullfighting events take place between July and September. Fortunately when we there, there were no bullfighting events on! The city is small enough to explore on foot, especially if you are just planning to visit the historic centre and shopping districts. However, if you do need to rest or take a bus back to your hotel, there are local buses operated by STAB. 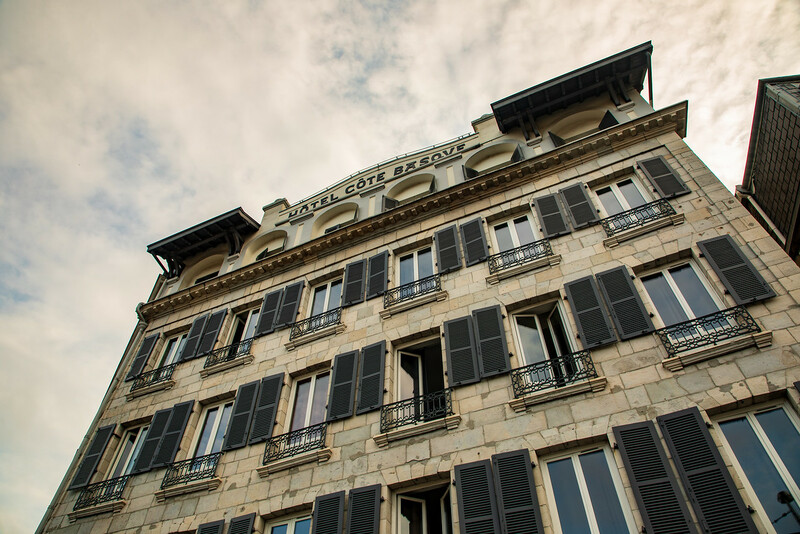 We stayed at the Cote Basque Hotel in the Saint-Esprit neighbourhood. Easy to find, parking close by and less than €50 a night. It did look a bit dodgy and rather seedy when you entered the hotel reception area but actually, our room was lovely and the hotel was within easy walking distance of all the main attractions. We booked our accommodation through Booking.com which offers rooms to suit all budgets in the area. By plane – The nearest airport to Bayonne is Biarritz which is just seven kilometres away. There’s a bus from Biarritz Airport to city centre roughly every 30 minutes. Journey time takes around 30 minutes. Other airports fairly close by are San Sebastián Airport which is 40 kilometres away and Bilbao Airport which is around 155 kilometres away. By train – There is a train station and Bayonne Station is within walking distance of all the main sites. There are direct trains from Paris and to San Sebastián, Spain. Highway A 63 (Paris – Bordeaux) Highway A 64 (Pau – Toulouse). You guys are an inspiration for a lot of retired couples. At a stage when people just give up on everything you guys have taken it to the next level… I just need to show this to my husband and tell him this is how i want our life to be at retirement. Well I have never heard of Bayonne before, but now i know because of your post. thanks for sharing. You had me at Bayonne ham and chocolate! I’ve not explore nearly enough of France, and it’s good to know you can also take a direct train from here to San Sebastian. Love your photos, I hope to visit! 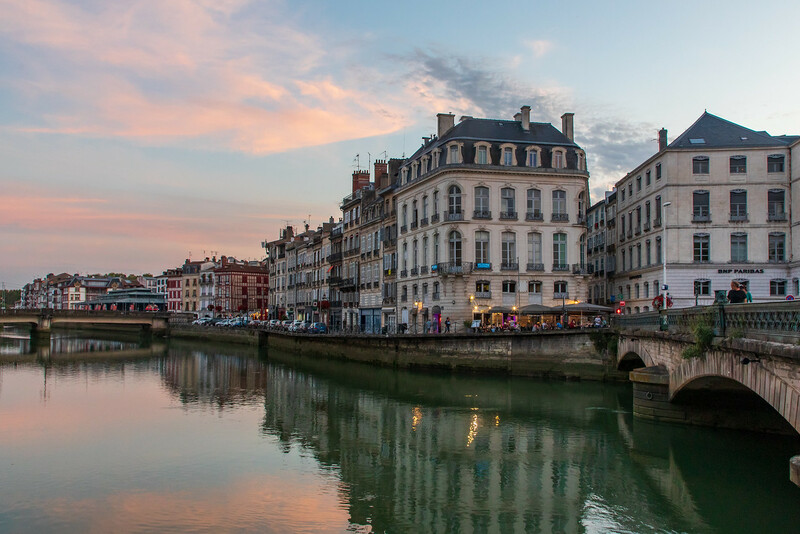 We spent a day in Bayonne on our way to Biarritz – it’s a very beautiful little place totally worth a visit. We also had great food there. Did I just read boyonne is known for its chocolate. I think I wanna go here soon soon. Beautifully split article. Love it! I’ve never heard about this place before, thanks for sharing important information. Two of my favorite, ham & chocolate in there. I’ll surely grab some when I got the chance to visit. My first thought was “ham!” 🙂 These French smaller cities are a delight to visit. I felt I was there with you. That’s an interesting old town, I never knew about. France has an endless amount of things to see.